Bright deep purple color. 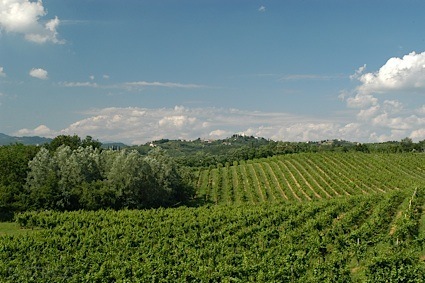 Rustic aromas and flavors of dried blackberries, fine leather saddle, violet scented black tea, and hint of star anise with an tangy, dry medium-full body and a peppery, interesting, medium-long finish imparting suggestions of dark chocolate covered nut, arugula, cedar, and with gritty tannins and moderate oak flavor. An intriguing savory Malbec with alluring waves of flavor. Bottom Line: An intriguing savory Malbec with alluring waves of flavor. 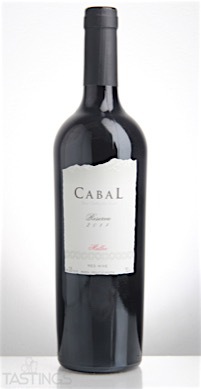 92 • Cabal 2014 Reserva, Malbec, Mendoza 13.8% (Argentina) $13.99. Cabal 2014 Reserva, Malbec, Mendoza rating was calculated by tastings.com to be 92 points out of 100 on 3/9/2017. Please note that MSRP may have changed since the date of our review.